Hyundai’s Powertrain Warranty leads the industry by covering 10 years and 100,000 miles. That’s the sort of coverage we know our customers deserve. The current Hyundai Assurance program which lets you return your new Hyundai if you lose your income in the first year is exactly the sort of understanding and ‘real life’ business that Parkway believes in. Included with all New and Certified Parkway vehicle purchases is: first oil chance, Car wash with service, recall inspections, first tire rotation, oil changes for life (with regular factory recommended maintenance). At Parkway, we work hard to make the customer come first. Choosing a vehicle should be an enjoyable experience, and we’re committed to providing quality options and genuine support when it comes to choosing the vehicle that’s right for you and your family. Parkway Motorcars Valencia Inc., its subsidiaries, and dealerships make no representations, expressed or implied, to any actual or prospective purchaser of any vehicle as to the condition, description, or accuracy of the listed vehicles' equipment, price, or any warranties. Any and all differences must be addressed prior to the sale of any vehicle. *Prices listed do not include government fees and taxes, any finance charges, or any dealer document preparation charges and any emissions testing charge. (661) 253-4441.: $1,750 - Retail Bonus Cash. Exp. 04/30/2019, $500 - Regional Event Cash. Exp. 04/30/2019, $500 - HMF Standard Rate Bonus Cash - National. Exp. 04/30/2019 Price exclused dealer added accessories. 26 other models like this in stock! Come see us at Parkway Hyundai. At the Valencia Auto Center you’ll find even more new car, truck, SUV & van selection with highly competitive prices & total transparency in your purchase process. With 17 luxury, domestic & import dealerships representing 24 brands along one magic mile, your family can make one stop in Santa Clarita for automotive sales, parts & service. Remember ValenciaAutoCenter.com; featuring Santa Clarita Classifieds, new car research & compare tools, an auto loan calculator and lease calculator, and thousands of new Southern California cars and trucks for sale. 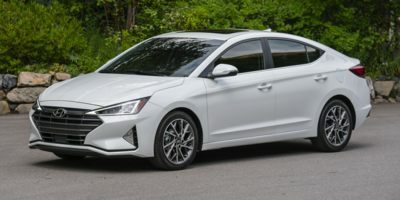 This 2019 Hyundai Elantra Value Edition 2.0L Auto SULEV is available now.